Geometric Repeat Pattern: And how I dunnit! Those of you following me from the start will know I’ve been gnawing away at the problem of how to create repeat patterns with geometric shapes. I had a breakthrough moment this morning as I lay half asleep and my eyes stared vacantly at a skirt draped over a chair which had jaggedy flower shapes repeated all over it. I won’t bother explaining – it is easier to show you… basically I saw the smallest repeat shape in amongst the flowers. A quarter of a flower here, and a quarter of a flower there. 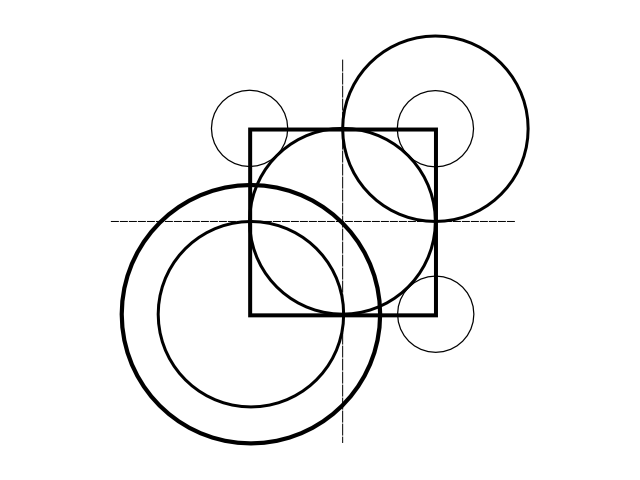 Imagine the circles below are the flowers… The centre of each circle is exactly on each corner of the square. That’s the trick. 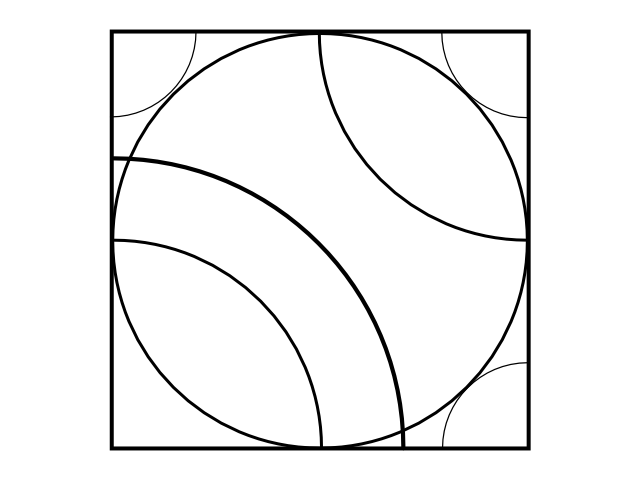 Well I created a worksheet, where I could get the circles to overlap the edges of a square. Then I cut the rest of the circles off. 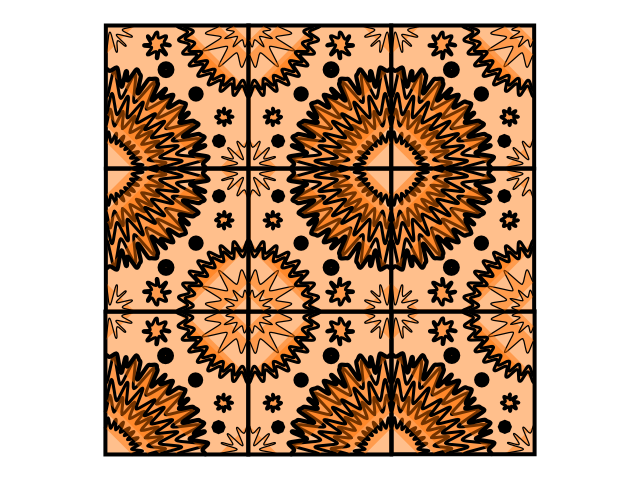 All that’s left is the pattern within the square, as below. 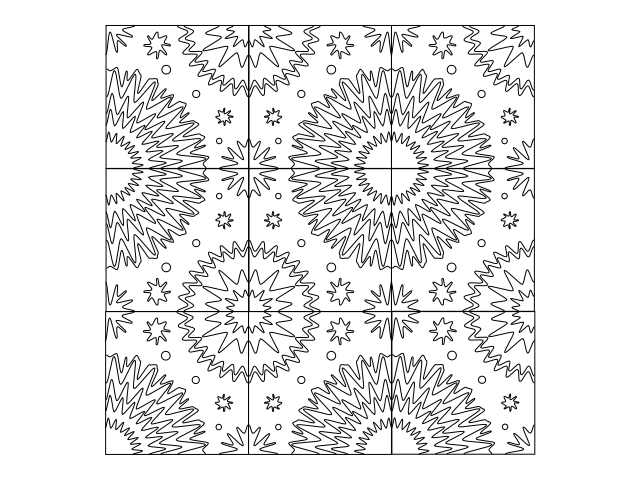 I traced over this basic pattern and copied and pasted it to see if it really worked. It did. Looks a bit like a T-shirt below, ay? 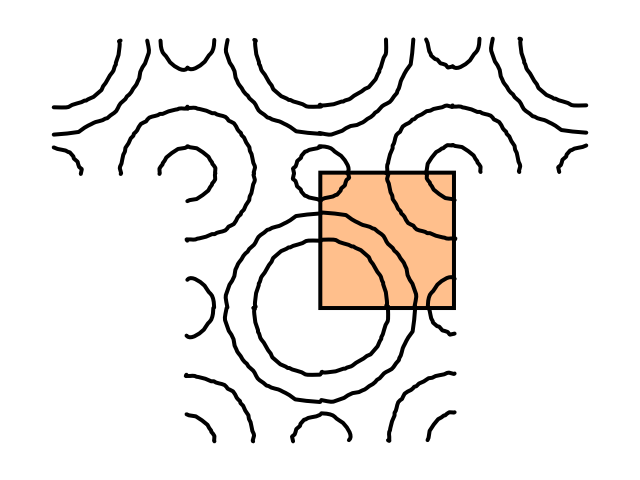 The orange square is the smallest repeat pattern. So exciting – this is all new for me! 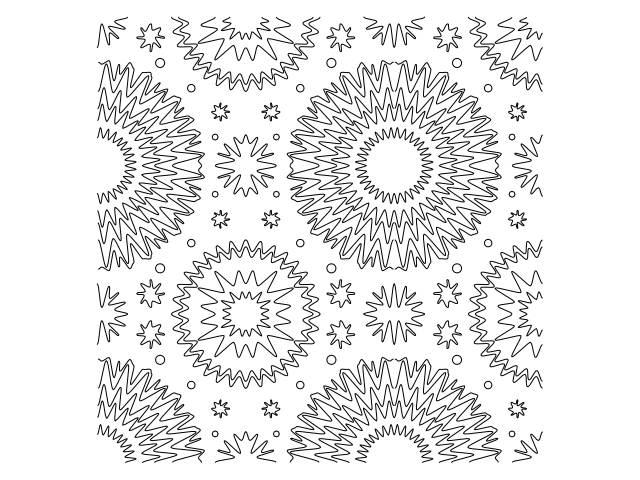 To make it more interesting, although not terribly flower-like, I added nodes and pulled them to create zigzags. And threw some extra circles in randomly. Made me think of macrophages and red blood cells floating down a vein. With some pretty big thingymabobs to get around. Go on tell me to stop talking rubbish. Anyways… This is the result of stitching them all together. I had to figure which ones to flip vertical, and horizontal. And as you can see, I forgot to get rid of the square around each repeat. Also, when I shrunk it down to fit my blog, all the lines got quite coarse. I had fun turning it orange. Getting serious, I took away the orange, and made all the lines the same thickness…. And finally, took away the offending squares. Now those big round things look more like starbursts, or sunflowers… or something that went Splat! What a puzzle. 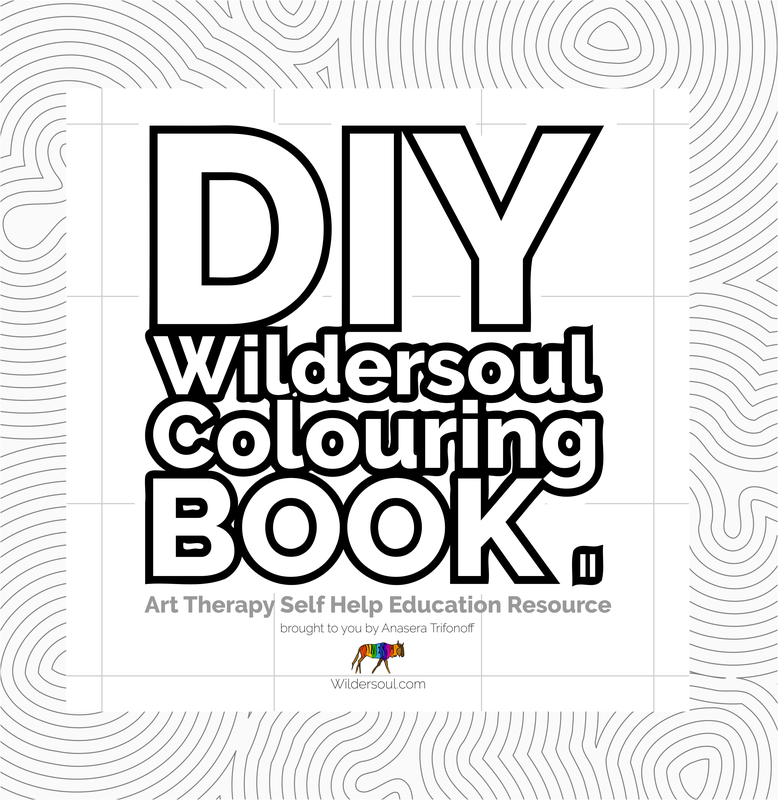 I hope you enjoy colouring this, and perhaps you might try making some of your own patterns at home! Might have to upload one to Spoonflower.com. 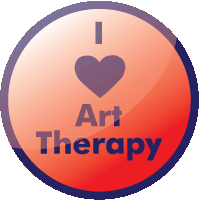 The only trouble is that I have to buy a sample of my work before I can put it up for sale. So I’ll wait for my spare $5 plus shipping…. I want to buy someone’s poetry e-book first! It has been a puzzle for me ever since I was a kid. Such a thrill to figure it out at last! I really enjoyed your explanation of your creative process. You made it look easy, but when you explained the complexity of what you did…WOW!! Simply beautiful!! TamrahJo you are blowing my mind! I feel fractalphobia coming on! Hehe. 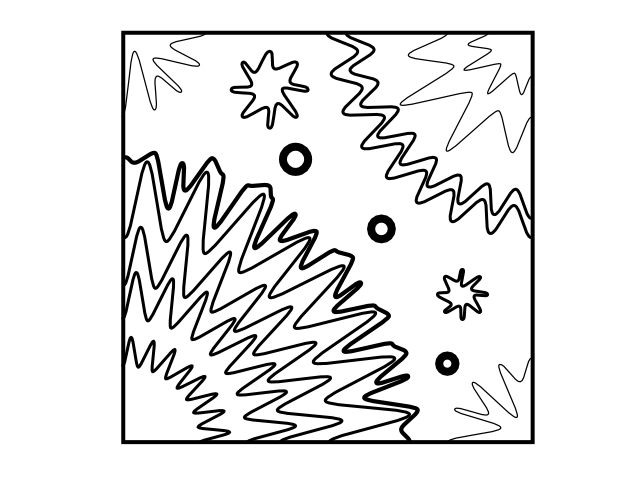 Would that be amazing if I COULD do fractal colouring sheets! Hmmmm….